What a difference and new rum and secret syrup can make. Relegated to the bottom end of our ratings and nearly forgotten, The Mai-Kai’s Bora Bora made a comeback in 2012 thanks to the return of the rich and flavorful Demerara rum to The Mai-Kai, which gives this cocktail a much-needed boost. The little-known Bora Bora has always been a potent concoction. I used to recommended it to folks who like a strong Mai Tai (classic, Trader Vic style) due to its intense combination of sour juices and Martinique rum. But with the smoky and tasty Demerara rum from Guyana replacing the earthy and sometimes harsh agricole rum, this drink took on a whole new life. It immediately jumped up five spots in our ratings (rising from 2 1/2 to 3 stars) and inspired the first two tribute recipes below. After further study, we moved it up another five spots to the top of the 3-star rankings. Click here for more on the return of Demerara rum to The Mai-Kai. Then, in the late summer of 2016, it was among a handful of drinks to get a boost from the return of a mysterious secret ingredient that dates back to the early days of The Mai-Kai. Now featuring Mariano’s Mix #7, Bora Bora takes on a whole new life with a bold yet sweet and approachable anise flavor vying for your attention. As a result, we boosted our rating from 3 to 3 1/2 stars, moving it into the Top 25. [See the rankings] Check out the third version of the tribute recipe below. July 2018 update: The Bora Bora was one of three cocktails featured at The Hukilau in Fort Lauderdale in June in Hurricane Hayward’s Okole Maluna Cocktail Academy class, “How to Mix Like The Mai-Kai.” In the sold-out event, students learned tips and techniques for turning their home bars into a Tiki cocktail paradise by exploring the key elements of Mai-Kai cocktails. After discussing the syrups, Hayward revealed documents that show how The Mai-Kai faithfully follows Don the Beachcomber’s early secret recipes, including one that features both Mariano’s Mix #7 and the even more obscure “#4”. The class then received sample drinks featuring the Bora Bora tribute recipe, batched by Hayward with expert assistance from Lucky Munro, proprietor of Lucky’s Cane & Grog in Pittsburgh. Long and smooth, but potent. An adventurous challenge. Flavor profile: Strong yet smooth rums, lime juice, floral anise notes. Review: Formerly overtly rough and bitter, the Bora Bora benefited greatly from the return of Demerara rum to The Mai-Kai’s bars in April 2012 and the reintroduction of secret mix #7 in the summer of 2016. 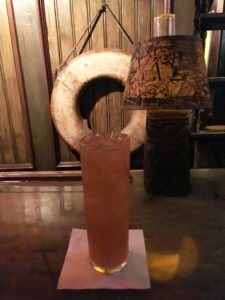 Ancestry: The Bora Bora is one of the lesser known drinks on the menu, but it’s survived more than 60 years, out-living such defunct classics as the Demerara Cocktail and Last Rites. It’s a direct descendant of Don the Beachcomber’s Donga Punch. 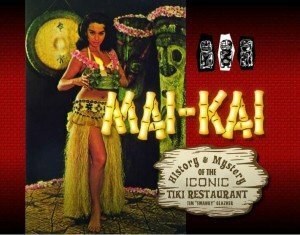 Note: The Mai-Kai’s old menu image, which was unchanged for 57 years, is pictured above along with the new menu photo released in 2014. Bilge: The Bora Bora shares its name (and that of the Polynesian island) with one of the most flamboyant dishes on the dinner menu. 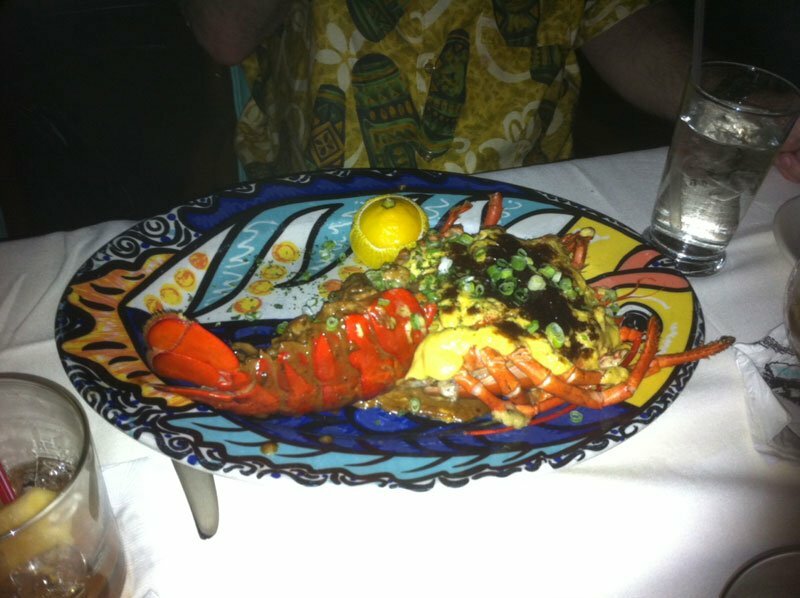 Lobster Bora Bora features a shelled Maine lobster sauteed with mushrooms and flamed with bourbon, finished with cream and a red wine Bordelaise sauce. If you dare, pair it with a couple Bora Bora cocktails. Put everything into a cocktail shaker half-filled with crushed ice. Shake well. Pour into a tall glass, adding more crushed ice to fill. 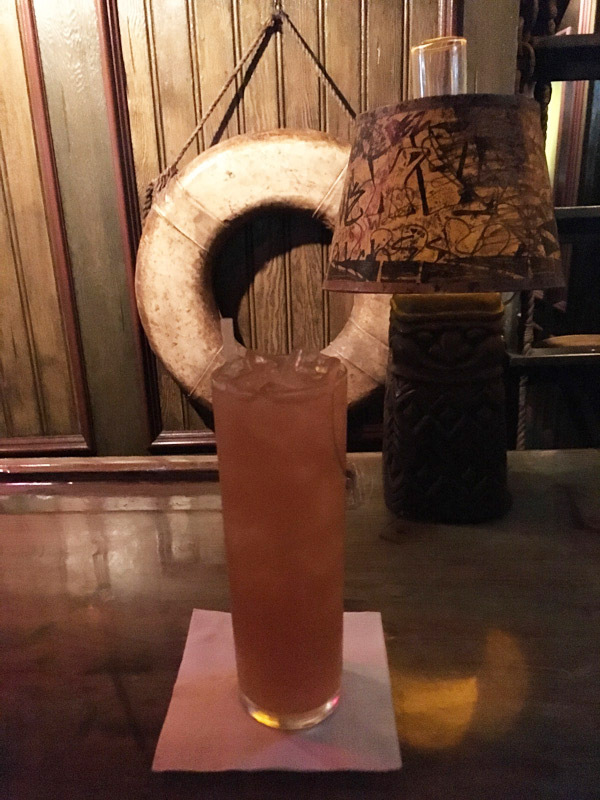 Mai-Kai mixologist Mariano Licudine worked at the original Don the Beachcomber in Hollywood starting in 1939, so he most likely based the Bora Bora on this old classic. With only three ingredients, this is a relatively easy way to transport yourself back to the golden age of mixology. Be sure to pick up the expanded and updated 10th anniversary edition of Beachbum Berry’s Sippin’ Safari, featuring many new and historic recipes, a new hardcover design with additional photos, plus forward and afterward that chronicle the years leading up to the Tiki revival plus the inflence the book has had over the past decade. * Don’s mix is that mystery ingredient in the original Zombie that Beachbum Berry unveiled in Sippin’ Safari. It’s best made fresh, but you can also pick up a fine bottled version from B.G. Reynolds. * Martinique (or agricole) rum, made from fresh sugar cane instead of sugar by-products such as molasses, is noted for its earthy taste. It’s crucial to avoid cheap brands and stick with proven products such as Rhum Clement VSOP, Rhum J.M. X.O. or Rhum St. James Extra Old. Pulse blend with 1 cup of crushed ice. Pour unstrained into a tall cocktail glass, adding more crushed ice if necessary. Garnish with a strip of orange peel. Mariano’s Mix #7: Combine 1/4 teaspoon of Herbsaint (or Pernod) with 1 tablespoon of falernum to create a sweet and fragrant syrup that adds another level of flavor to this often ignored long pull. To make a larger batch, just scale up to 1/2 teaspoon of anise liqueur for every ounce of falernum. Bottle and keep at room temperature to let the flavors mingle. I recommend Herbsaint over Pernod since it provides the appropriate floral quality that mimics The Mai-Kai’s mix. 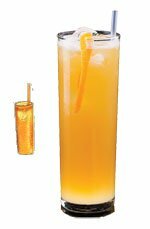 A sweet, non-alcoholic falernum, such as Fee Brothers, is also highly recommended to achieve the correct flavor. I’ve confirmed recently that The Mai-Kai uses the Fee Brothers brand. FYI, the other drinks featuring #7 are: Black Magic, The Hukilau, Mai-Kai Swizzle and Mutiny. Updates on those recipes are in progress. Besides the addition of #7, the only other changes from the earlier recipe below are a slight reduction in the sugar syrup and bitters. The result is a more rounded cocktail, the floral anise flavor clearly up-front and sharing the spotlight with the lime and rums. More on that below. Now on The Grogalizer! 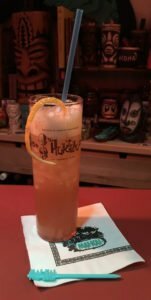 This recipe and other Mai-Kai tributes have been added to the essential database of Tiki cocktail reviews, including the Beachbum Berry collection plus Smuggler’s Cove: Exotic Cocktails, Rum and the Cult of Tiki. Help boost our ratings. It’s quick and easy to sign up. March 2016 update: The rums aren’t the only major difference between the Bora Bora and its ancestor, the Donga Punch. 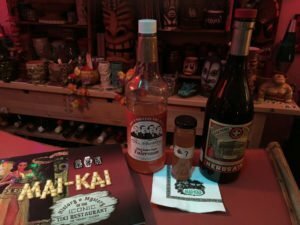 I recently learned that The Mai-Kai does not feature cinnamon syrup in any of its current cocktails, which means that Don’s Mix is also not among the ingredients. Our original tribute recipe was fairly accurate, so I just replaced Don’s Mix with a combination of grapefruit juice and rich sugar syrup, then increased the bitters to achieve a very similar taste. It’s unclear if Don’s Mix was ever used at The Mai-Kai, but if you’d like to try a version closer to Don the Beachcomber’s original, we’ve left our original below, along with more notes and tips. This wasn’t the only cocktail in which Martinique rum was replaced with Demerara. The same rum substitution was used in the S.O.S. and Martinique Milk Punch. * We follow Beachbum Berry’s recommendation on grapefruit juice: Fresh-squeezed white or yellow grapefruit (not red or pink), or a bottled/canned white grapefruit juice that’s 100% juice, unsweetened. The most common variety is Ocean Spray 100% unsweetened juice. Please note, however, that The Mai-Kai does use red grapefuit juice when it’s in season. All its juices, including a bold Key lime juice blend, arrive fresh daily from a local citrus purveyor. * As noted above, the return of Demerara rum to The Mai-Kai inspired this tribute, but it was the Bora Bora’s inclusion on the cocktail flights menu at the Mai-Kai Mixer event in June 2012 that provided the real impetus. While presenting the flights, manager Kern Mattei gave us the scoop on the exact rums contained in the drinks, providing this tribute with a very accurate foundation on which to build. * It’s interesting that although the Donga Punch featured only one rum, Bora Bora employs three. Mariano Licudine obviously learned a few tricks from Don the Beachcomber, including the always tasty combination of Demerara, Jamaican and Puerto Rican or Virgin Islands rums. There are many options among the standard gold Virgin Islands and Puerto Rican mixing rums, including Bacardi, Cruzan, and Don Q. The Mai-Kai has used all of those over the years. You could upgrade to a premium rum if you wish, but it needs to be a non-assertive rum that plays a background role that lets the Demerara and Jamaican rums be the star. Lemon Hart Original 1804 and Hamilton 86 from Guyana are your best bets among the Demerara rums. 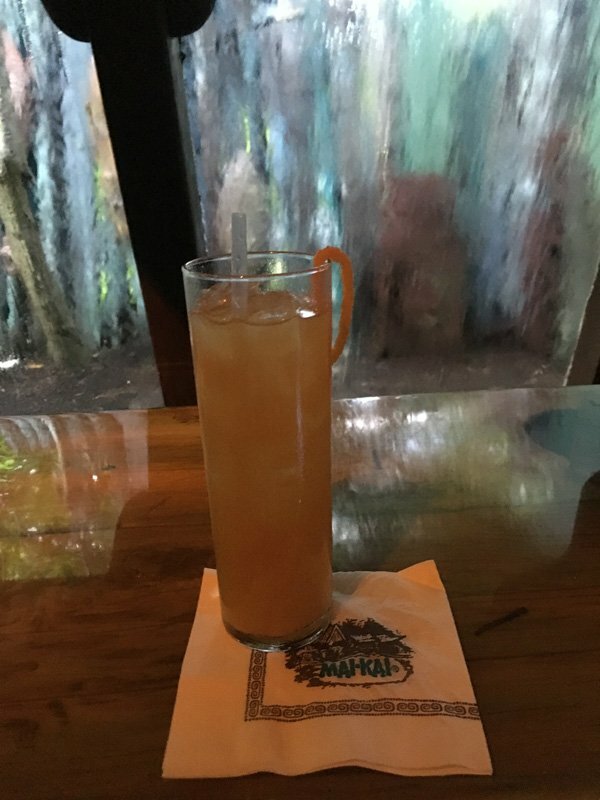 Since 2015, The Mai-Kai has used the assertive 86-proof Hamilton rum, which fits this drink like a glove. For decades, The Mai-Kai’s dark Jamaican rum of choice was Kohala Bay, a descendant of the distinctive “Dagger Punch” from Wray & Nephew. Unfortunately, it became unavailable in 2016 and is unlikely to return. It has since replaced aby Appleton Estate Signature Blend, a solid Jamaican rum that only lacks the raw, funky punch of Kohala Bay. There are other options, including our suggestion of a 50/50 blend of Smith & Cross and El Dorado 12. The Bora Bora is another great example of how The Mai-Kai expertly uses complimentary rums to create distinctive flavors in the tradition of Don the Beachcomber. 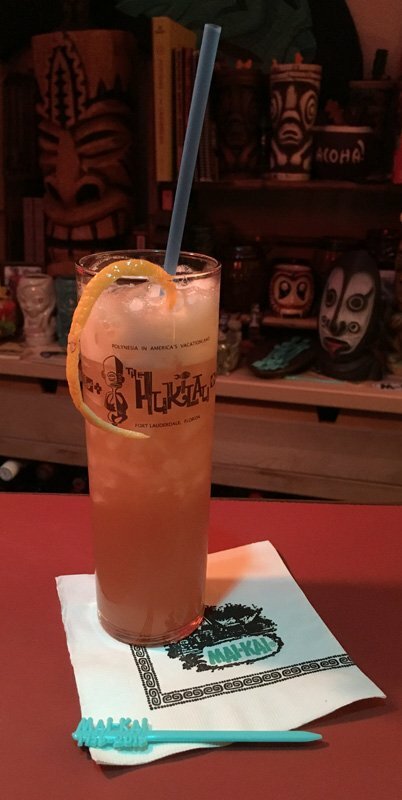 This entry was posted in 2018, Cocktail reviews, Cocktails, Cocktails, Mai-Kai, Rum and tagged Bora Bora, Cinnamon syrup, Demerara rum, Don The Beachcomber, Donga Punch, Ed Hamilton, El Dorado rum, falernum, Hamilton 86, Hamilton rum, Herbsaint, Kern Mattei, Kohala Bay, Lemon Hart, Mai Tai, Mai-Kai, Mariano Licudine, Mariano's Mix #7, rum. Bookmark the permalink. I have never had a Mai Kai Bora Bora, but Donn’s Donga Punch is among my all-time favorite classic Tiki cocktails, so I will have to order one the next time I make it down. For people that find the rhum agricoles to be a bit too vegetal-funky (my wife, for instance), subbing a good dark Demerara makes the Donga Punch totally approachable. Even though I love Martinique rhum I think a “Demerara Donga” is equally good and mix them up that way at home with some regularity. That’s a great idea about the Demerara. The Bora Bora can be somewhat harsh. But with the addition of Lemon Hart, it will be interesting to see how it’s changed. We haven’t had a chance to revisit it yet. I suspect it will rise in the ratings. Just shook up your new Bora Bora tribute recipe, and it is excellent! Thanks! 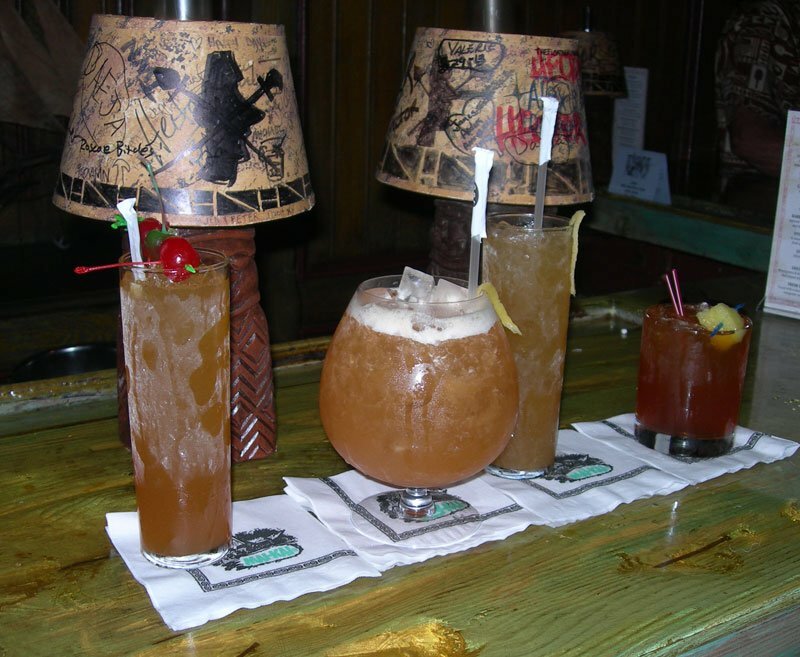 The Don’s Mix perfectly compliments the Cruzan, Demerara and Kohala Bay Rums. This is really a winner in my book ! Mahalo Rick. I have some interesting news about Don’s Mix and The Mai-Kai coming soon. 1) There are important reasons to consider using alcoholic and non-alcoholic falernums. 2) Pernod and Herbsaint have important flavor profile differences.